Jack-in-the-box costume. A classic children's toy turned scary! . HD Wallpaper and background images in the Halloween club tagged: halloween costume scary clown. A classic children's toy turned scary! 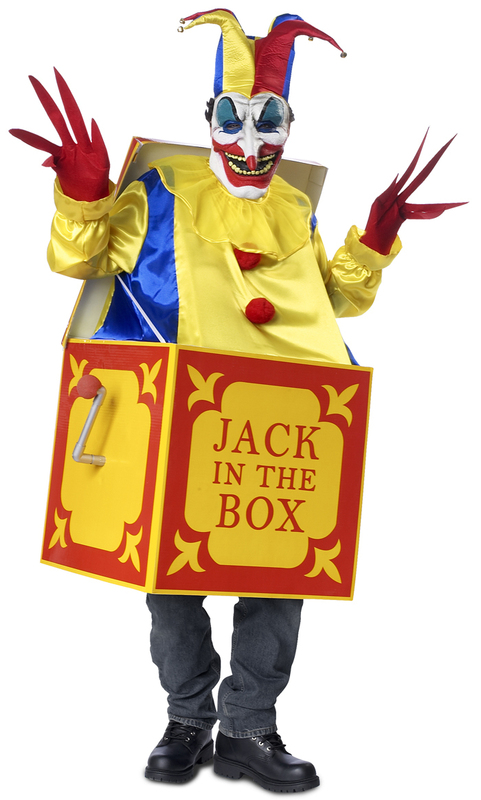 The Jack-in-the-box costume includes: Clown mask with attached jester hat, ruffled collar, shirt, long fingered gloves, and box with crank.